Have an old graphics card that is no longer supported in the regular NVIDIA Unified Graphics Driver? Well, here’s how to install the Legacy Driver which supports the old Nvidia GPUs. The Nvidia Legacy Drives support the old GPUs that are no longer supported in the regular NVIDIA Unified UNIX Graphics Driver. It will be updated periodically to add support for new versions of Linux system components (e.g., new Linux kernels, new versions of the X server, etc). 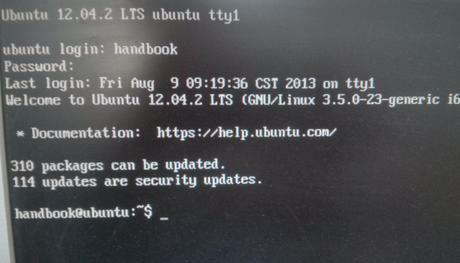 The Linux 304. * legacy driver series is the last to support the NV4x and G7x GPUs and motherboard chipsets based on them. Support for new Linux kernels and X servers, as well as fixes for critical bugs, will be included in 304. * legacy releases through the end of 2017. See the full list of supported GPUs. You may check you system type (32-bit or 64-bit) by System Settings -> Details. 1.) Stop graphical session. For the default Unity Desktop, run below command to stop it. 2.) Give executable permission for your downloaded package.